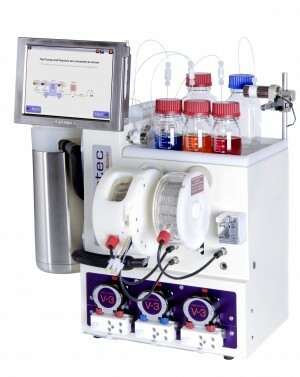 The lipase-catalyzed regioselective hydrolysis of peracetylated arabinose was performed in a packed bed flow reactor (PBR). In particular, the hydrolysis of the α  anomer of peracetylated arabinose catalyzed by Novozym® 435 resulted in the monodeprotection of C5 in only 5 min and 91% yield. 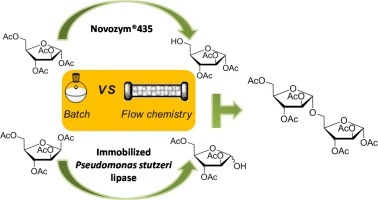 By using the immobilized Pseudomonas stutzeri lipase, the regioselective hydrolysis of the β  anomer was also accomplished affording the C1 deacetylated derivative in 30 min with good yields. 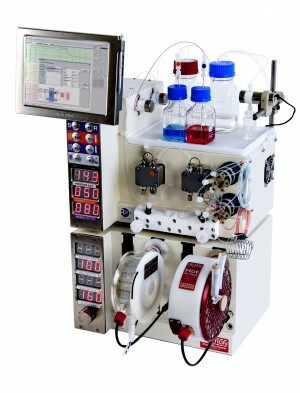 The high local concentration of the immobilized biocatalyst in the PBR allow for a significant reduction of the reaction time; moreover, repeated re-use, and easy downstream processing increase the efficiency and the productivity of the process, if compared to the classical batch procedure. In fact, under optimized conditions, the specific reaction rate of the biocatalyzed flow reaction showed an increase of more than 300 times compared to the batch one. The obtained building blocks were prepared in gram scale and then used for the synthesis of peracetylated arabinofuranosyl-1,5-arabinofuranose.